We're so happy that you're part of the Aquarium community through your SeaMail subscription. So we want to let you in a sweet discount from our friends at the Big Apple Circus. See high-flying acrobats, lovable clowns, the Wheel of Wonder, ponies, puppies, and more. All seats are less than 50 feet from the ring. The Grand Tour transports audiences to the advent of the modern travel era, when the most adventuresome began touring the world in ships, planes, trains, and automobiles. 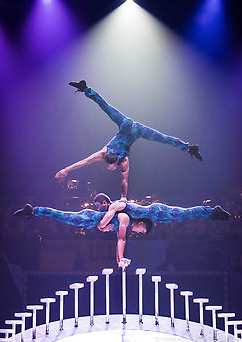 World-class entertainers perform breathtaking acts from the four corners of the globe. 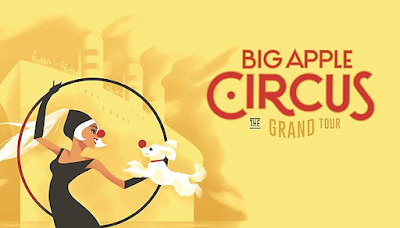 Clowns, jugglers, acrobats, and aerialists from Africa, Asia, Australia, Europe, and North and South America set off on a whirlwind adventure, accompanied by the live, seven-piece Big Apple Circus Band at each performance.